The AIR Louisville project is a new approach to helping people cope with asthma and control their symptoms. This cooperative project involved individuals, employers, doctors and City of Louisville government. 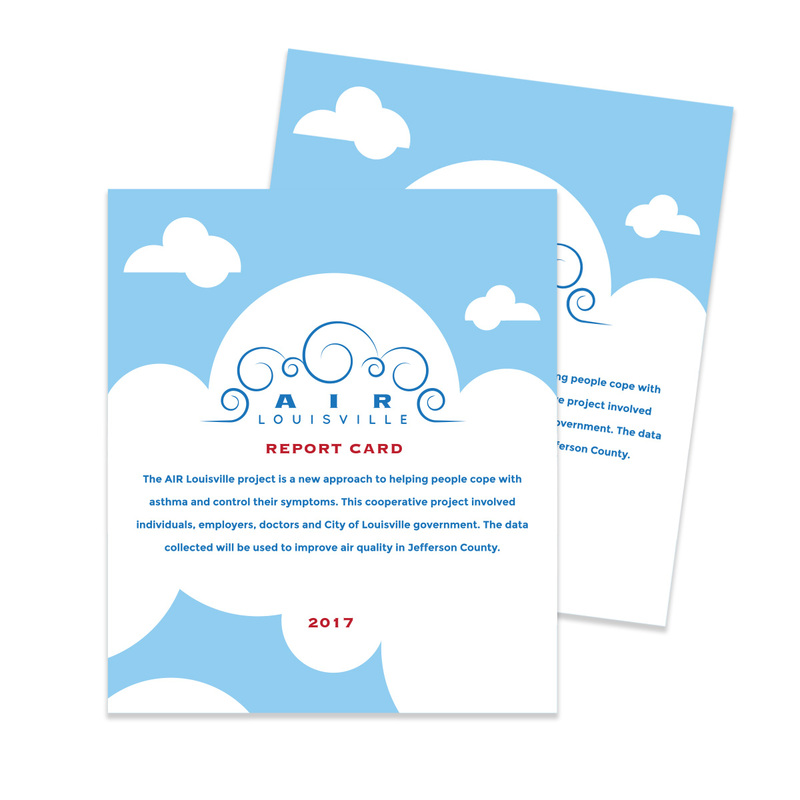 AIR Louisville is a snapshot of people with asthma who live and work in Jefferson County. The data collected will be used to improve air quality in Jefferson County. The AIR Louisville brochure folds out to create a poster and was used as both a thank you to all the individuals and businesses involved in the project as well as a marketing and educational piece to further illustrate the need for air quality changes. 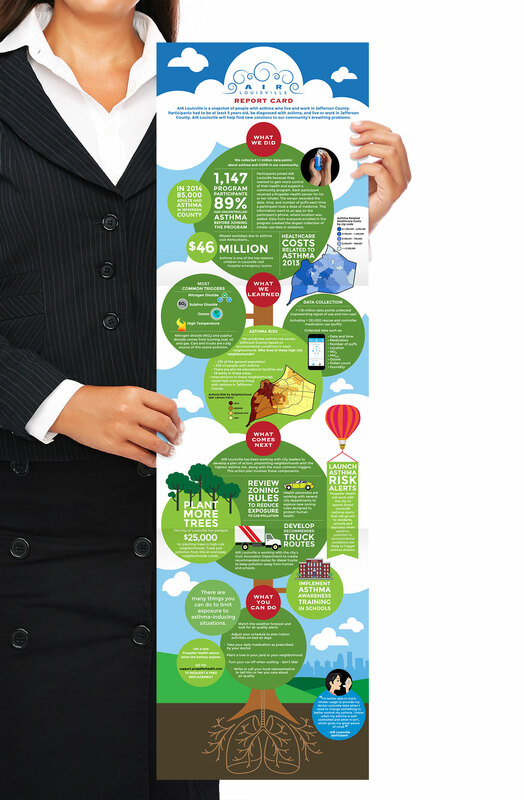 A tree graphic was devised into a timeline infographic to convey the progression of the project’s findings. Elements of nature, sky and clouds all combine to help create a clean, fresh design.